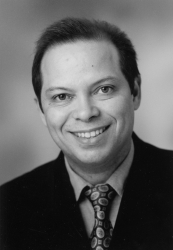 Born in Washington DC, Martínez is presently piano professor and coach for the Landesmusikschulwerk Oberösterreich, based in Linz, Austria. Between 1991 and 2004 he worked as coach at the Mozarteum University and its International Summer Academy in Salzburg. There he offered his own course titled: Coaching and Accompanying: for Pianists. Martínez studied at the Eastman School of Music in Rochester, New York and in 1993 earned the Doctoral Degree in Chamber Music and Accompanying at the University of Miami. He was Director of the Chamber Music Department of the Harid Conservatory in Florida (1992-93) and Interim Director of the Accompanying Department of the University of Miami (1991). Between 1983 and 1997 he was Associate Professor of Piano at the Interamerican University of Puerto Rico. During the last ten years Martínez has performed successful recitals with soprano Elaine Ortiz-Arandes (Gärtnerplatztheater - Munich) in Germany and Austria featuring the Lieder of Brahms. Martínez does research and prepares lectures and presentations on Brahms early Lieder output and has recorded a CD with the piano parts of these songs presenting them as piano pieces. In February 2009, he released two additional CDs with the piano parts of Brahms' early folk songs and the folk songs for children. Then in February 2010 a double CD was released with the same folk songs repertoire performed by eight singers from the Landesmusikschulwerk OÖ with Martínez at the piano. Since 1997 Martínez has also offered numerous concerts with cellist Monika Gaggia. The Duo has performed all standard works for cello and piano. Martínez has also performed in New York City, Dominican Republic, Haiti, Perú, Ecuador, Italy, Slovenia and Czech Republic and also offers Korrepetition seminars.